Daniel Oduber International Airport in Liberia is where most people who come to visit Costa Rica begin their journey. This is one of the largest airports in the country and has earned the reputation of being the preferred airport for tourists, especially for access to all the attractions and destinations that surround it. This airport is perfectly located to reach places like Tamarindo, Playa Negra, Golfo de Papagayo, Playa Grande, Playa Flamingo, Playa Hermosa and Las Baulas National Marine Park. In addition, the airport also allows you to take domestic or charter flights to reach any part of the country. If you plan to see everything Costa Rica has to offer, starting your trip at Liberia International Airport is a good decision. Each year thousands of visitors from all over the world choose the Liberia, Costa Rica Airport as their entry point to Costa Rica. 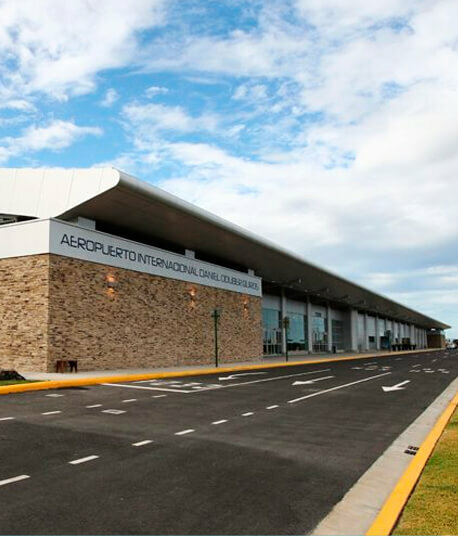 Such has been the demand that a new and larger terminal was inaugurated on February 2012, making it the second biggest airport in Costa Rica. Centro Comercial Galerías del Mar.